CBS affiliate KYW-TV (Philadelphia) has hired Joe Holden and Trang Do as reporters. Holden, who will join the station on May 4, currently reports for NBC Pittsburgh affiliate WPXI-TV. He was previously an investigative reporter for WYOU-TV. Do joined the station from ABC Baltimore affiliate WMAR-TV, where she served in the same role. 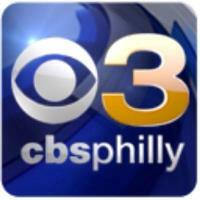 Follow CBS Philly on Facebook and Twitter for breaking local news.